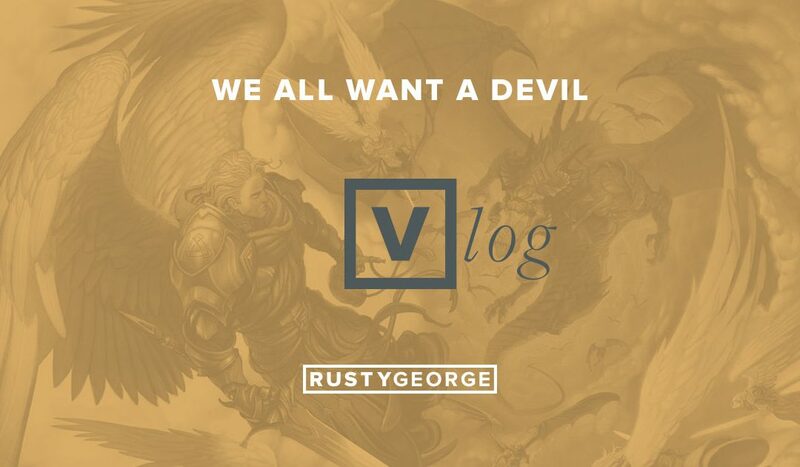 So I heard this phrase a while back, and it goes like this, “We don’t all want a God, but we all want a devil.” I thought about that for a little bit and there’s some great wisdom in that. We don’t necessarily always want a God because God tells us what to do and how we’re supposed to behave–right. But the one thing we all want is we want a devil. We want someone to blame when things go bad. We want a problem that we maybe can solve, or maybe the bad guy who’s the reason we have all the drama in our life. Let me give you three reasons why I think we all want a devil. The first one is it gives us somebody to blame. I mean doesn’t it feel good to blame the boss, blame the government, blame the IRS, blame the neighbor, blame the teacher, blame the coach. It’s always somebody else’s fault. Another reason we all want a devil is it kind of gives us a common enemy. We like to think, “I’m part of a movement, I’m part of a rebellion.” We like District 13 or Rogue One. We’re kind of interested in joining together against something else. And the third reason is it distracts us from ourselves. We don’t have to take responsibility for our problems because we’re too busy focused on everybody else’s problem. Can I just encourage you with something, every time I focused all on my devils, I’ve not only taken my eyes off myself, and my problems, but I’ve also taken my eyes off of my God. I would encourage you to let your attention shift from all the things that are wrong, all the things that need to be different, and all the devils in your life, and focus them on the only one who can do anything about it, and that is God.